Situated in Red Hill on the Mornington Peninsular, Red Hill Truffles is located on a property that has been in the same family since 1864. Jenny and husband Mike decided to experiment with growing the Perigold black truffle (melanosporum) with the first planting of 300 trees in March 2005. The first truffle was discovered under a hazelnut tree in 2010 and what began as an experiment has since flourished into a successful truffiere. Experience the thrill of a truffle hunt. 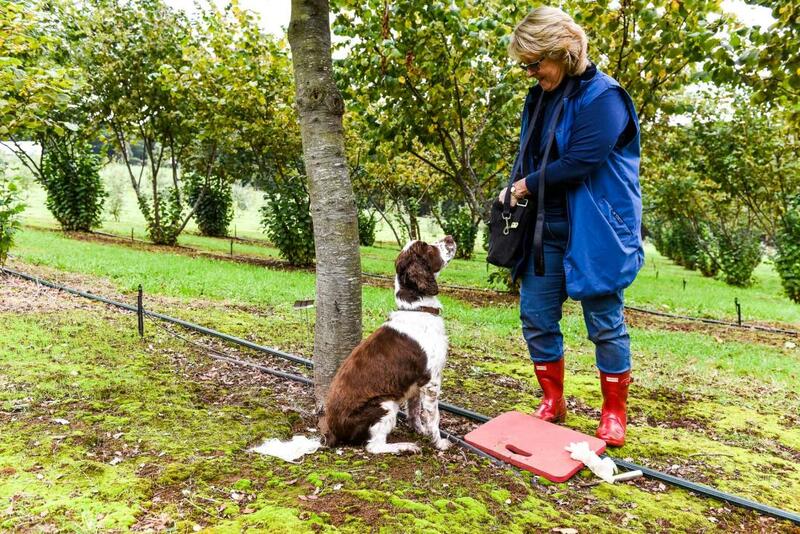 Jenny McAuley and her super sniffer truffle dog Thomas will lead you through the oak and hazelnut trees of this private Red Hill Truffiere. You will have the opportunity to taste, smell, handle, photograph and even purchase freshly harvested truffle. Jenny will discuss growing, harvesting and cooking with truffle before you enjoy a tasting of truffle produce and dishes. Meet Danielle from MP Experience at the private property of Red Hill Truffles, who will introduce you to Jenny and her truffle dog Thomas. 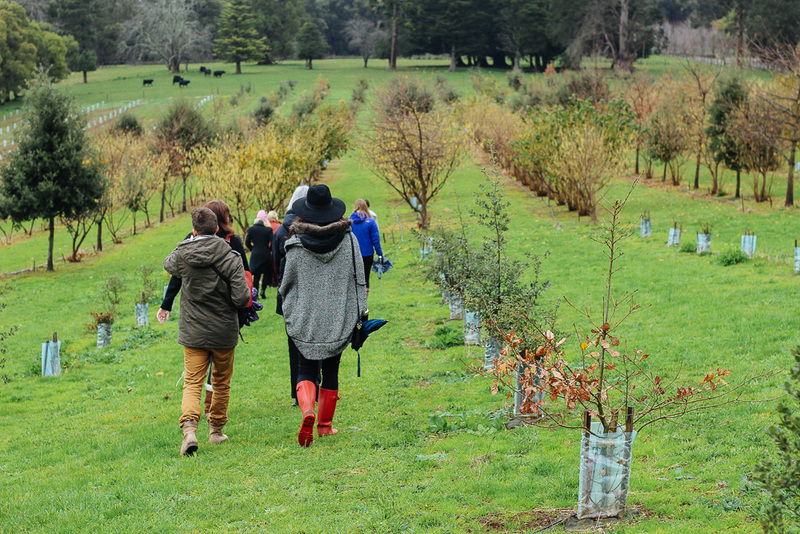 Enjoy a relaxed and informative discussion as you embark on a tour of the grounds, while Thomas shows off his truffle hunting skills. Make your way to the newly restored historic pavilion for a demonstration on cleaning and storing truffle. Truffle will be available for purchase on the day. The award winning Max’s Restaurant at Red Hill Estate is a short five-minute drive away, where you will enjoy a two-course truffle inspired lunch and glass wine, overlooking the vineyard and Westernport Bay. Danielle will meet you in Melbourne CBD and transport you by Mercedes Vito to the beautiful Mornington Peninsula and Red Hill Truffles. Meet Jenny and her truffle dog Thomas as you learn about the truffiere and see Thomas in action. Truffle will be available for purchase on the day. 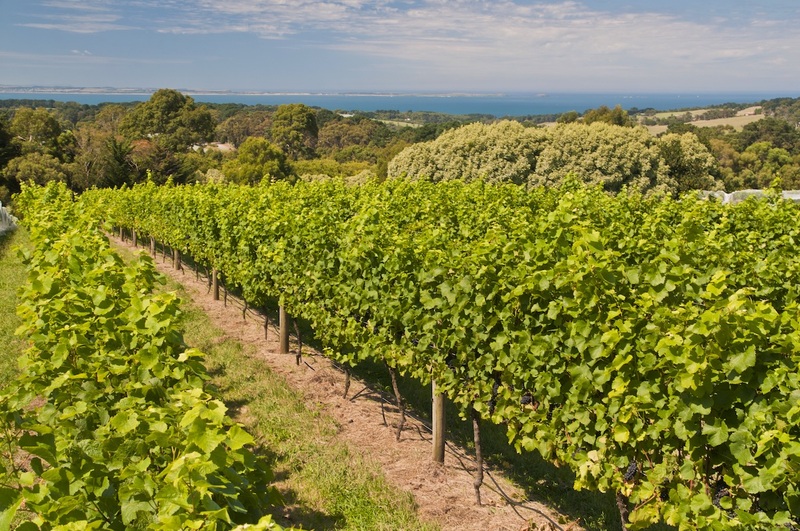 You’ll then be whisked away to the award winning Max’s Restaurant at Red Hill Estate where you will indulge in a five-course ‘black gold’ truffle inspired degustation lunch with matched wines, overlooking the vineyard and Westernport Bay. Savour your day as you are driven back to Melbourne in comfort.